More about CMS Contact CMS NOW! Be the envy of the neighborhood. Outdoor Spaces That Stand the Test of Time. 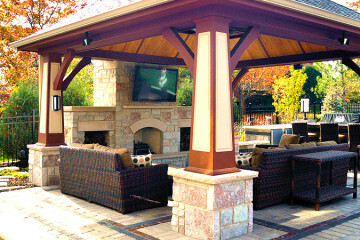 CMS Landscapes Inc. has been designing and building outdoor spaces for over 14 years throughout the suburbs of Chicago. Beautiful spaces are designed for longevity with a passion to create products that reflect our main priority... our customers. 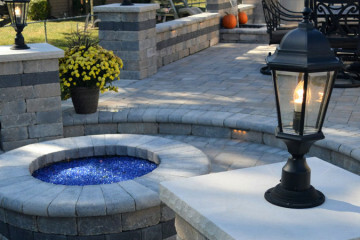 CMS is a landscape construction company. We do not do lawn maintenance. 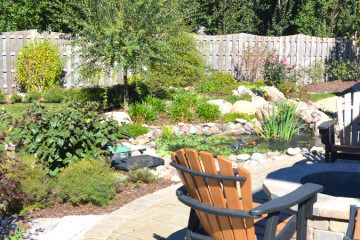 Designing and building custom landscapes is our specialty. CMS offers both day and evening appointments on weekdays and weekends. CMS is fully insured and bonded, covering every employee and every project. CMS provides consultations at your home. We meet with you to do a site evaluation, discuss your expectations and review your budget. CMS takes tremendous pride in all of the services we provide. We strive to have each job done in a timely manner and within budget. Since 2002 CMS has been servicing satisfied customers. Just ask them! We are happy to provide you with a list of referrals upon request. 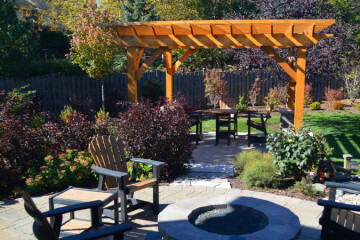 Is it time to upgrade your backyard? 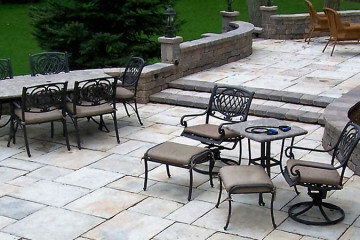 Replace an old deck with a beautiful new paver patio? 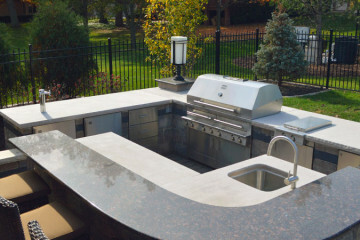 Or how about an outdoor kitchen or new fire pit? Thank you so much for the terrific job that you and your crew did on our yard. It looks fantastic. We are very pleased with the results and we were thrilled to have it completed before our party. Thanks for accommodating us. Actually, we are all doing “The Happy Dance”! We love looking out and walking in our new garden and patio. What a huge improvement!! We certainly could not have done it without you and your crew. You are all amazing. Now it’s time to take a night off and enjoy yourself! Thanks a million. The job you and your crew did is absolutely wonderful. We’ve gotten a number of calls from our neighbors telling us how great the yard looks. Thank you for fantastic permeable paver walkway and very generous labor and material donation to our church. The new walkways are beautiful and immensely appreciated by the entire congregation. We are very grateful for your partnership and dedication to quality with this project. Thank you for the beautiful landscape that you created for our backyard. 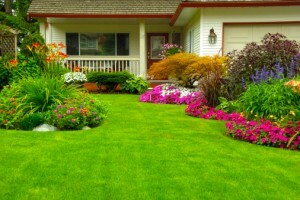 Your design and choice of trees, shrubs, and plants fit our yard perfectly. We were impressed with the outstanding professionalism and skill of your crew, and the efficiency with which you completed the job. 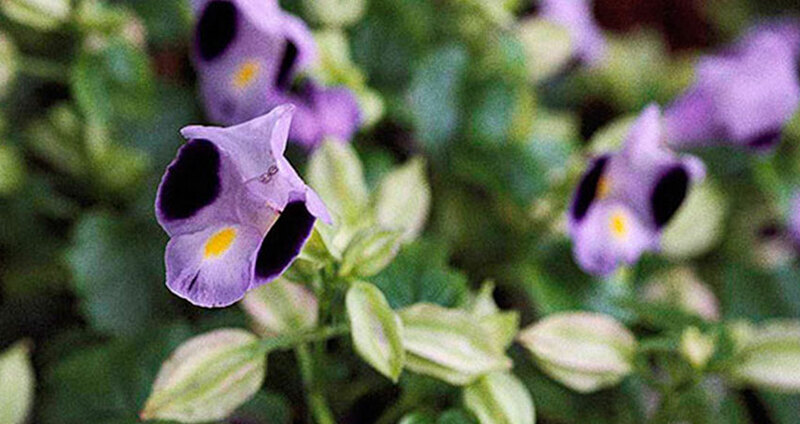 We will enjoy our gardens for a long time. We talked with a few other landscapers but just didn't feel comfortable. Scott from CMS came out and right away knew exactly what we wanted to do. I could go on and on but I cannot recommend CMS enough — they are classy and very, very professional, not to mention knowledgeable and insightful. We will definitely be asking CMS to do additional work! We just had our patio redone by CMS and the whole experience couldn't have better or easier. Scott thoroughly went over the design plan and added his visions to the basic layout of what we had in mind which included the patio, a large sitting wall, two trellises, and a built-in grill. 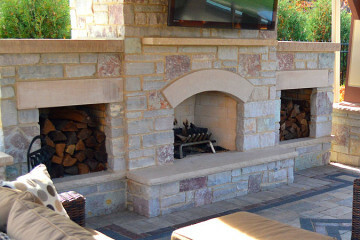 The installation was quick, thorough, and professional, and he was always easily available to answer questions. Our backyard has been transformed thanks to CMS! My husband, Wayne and I watched CMS's reconstruction of the entrance to our condominium building in Darien. The work area has been kept clean and organized, especially when they finished up for the day. The progress has been nothing short of astonishing, and the new planters and brick work are very attractive. Since I am also a director on our condominium association board, I want to say how happy I am that we chose CMS for the job. Fellow residents have told Wayne and me how pleased they are. Thank you so very much. I really want to thank you and your crew for the wonderful job they did at our house. 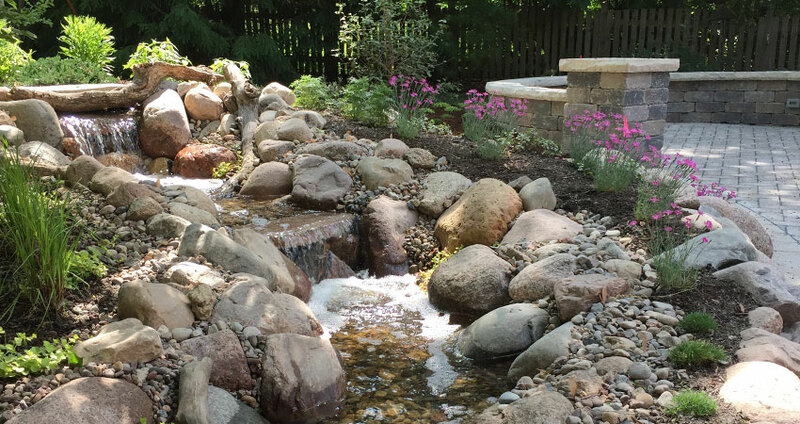 Everything is just great – from your choice of plants, to installation, to the finer points like the flagstone area. Our yard looks better than we ever could have dreamed of. 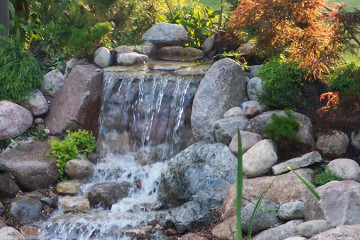 source for the highest quality landscape design and installation services.